November is Financial Literacy month and this is near and dear to my heart. As an ex-banker, I spent many of my 15 years in the Financial Industry working with clients on achieving their goals, uncovering ways to save and payoff debt, and find ways out or through difficult money situations. 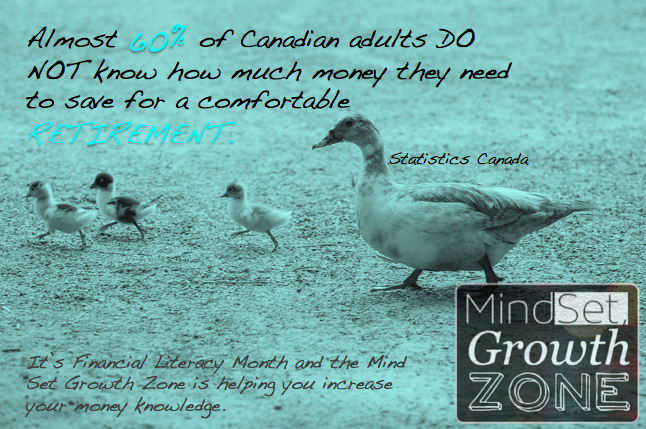 As such, each week this month I will post a blog to support your financial literacy. I will include a great tool to support your Financial Literacy journey with each post. The first step to truly understanding your finances is to understand your net worth. Think of this as your personal balance sheet. The net worth statement is a snapshot of what you own and what you owe at any given time. Once you have a firm understanding of your net worth you are able to determine your starting point for both your budget (next week’s topic) and your financial goals (week 3). Its important to remember that depending on life stages, your net worth is going to look different. The younger you are the more likely that you will have a low or negative net worth due to debt accumulation for things like education. As you grow older the goal is to reduce debt and increase savings. All of that is nice in theory, but so many people don’t know how to make this a reality. Life is expensive, so let’s spend some time getting our ducks in a row before we become overwhelmed with all of the bills that are coming at us, all of the purchases we “need” to make, and achieving retirement plans that may not even be realistic or necessary. 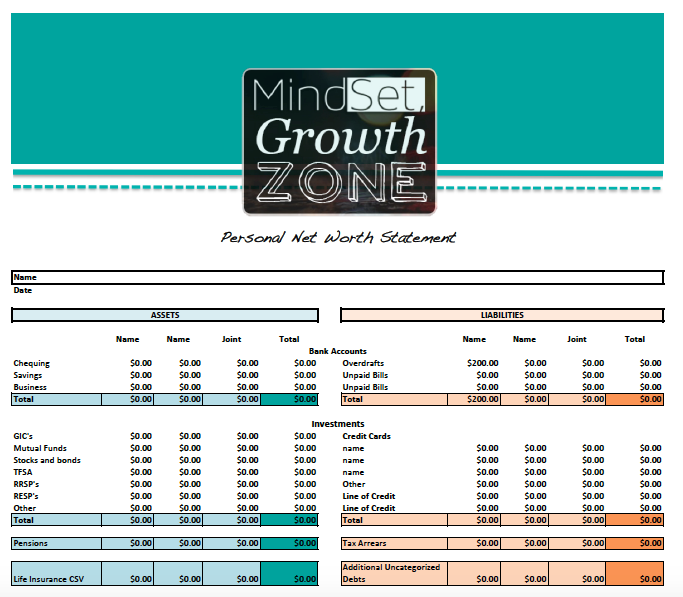 For a free, dynamic, fillable and printable (excel) worksheet to help you calculate your net worth sign up for the Mind Set #GrowthZone.